This is part five of a five part series about how to start a public speaking career. In the past posts, we focused on how to use public speaking within your current career, both as an income stream and as marketing. We also covered a session on how to become a professional speaker for an established speaking company. In this post, we will cover a few step-by-step items that will help you create your own presentation company. 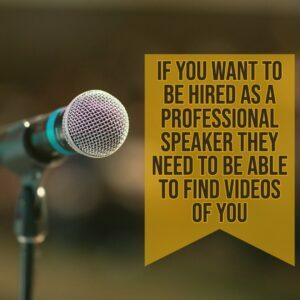 If you want to be a professional public speaker, these tips can help you get started. Before I get into the "how to's," let me start with the "don't" of the speaking industry. Don't Try to Become a Motivational Speaker. First and foremost is to don't try to become a "motivational speaker." Yes, there are still great (and popular) motivational speakers out there. Most often, though, these are people who accomplished something very significant that very few people have ever done. For instance, here in Dallas, Roger Staubach was quarterback of the Dallas Cowboys for years. After he left the NFL, he started a commercial real estate company, and he became a gazillionaire again. So, when he speaks at conventions, he charges in excess of $40,000 per hour. Most really popular motivational speakers are politicians, athletes, or entertainers who made it big, and who now want to inspire others. You will also find people who sailed around the world, climbed Mount Everest, survived a tragedy, and the like. For the most part, though, you find very few motivational speakers who weren't famous before they became speakers. 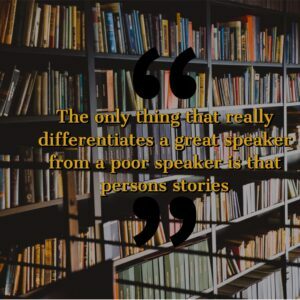 Don't Just Regurgitate Stuff You Read/Hear from Other Speakers. The second big mistake that people make when they start a speaking career is that they just try to regurgitate ideas and material from other sources. "Okay, I've read, The Magic of Thinking Big, How to Win Friends and Influence People, The 7 Habits of Highly Effective People, Personality Plus, Think and Grow Rich, and The Bible. I've listened to over 100 hours of Zig Ziglar, Anthony Robbins, Brian Tracy, Will Smith, and Joel Osteen. Now, I'm ready to be a professional speaker!" 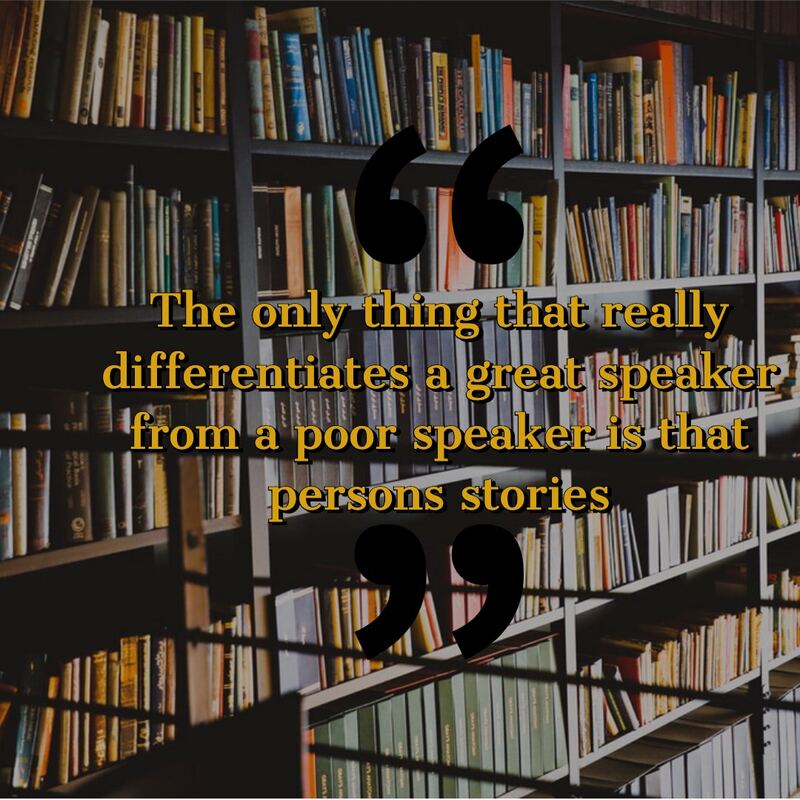 The only thing that really differentiates a great speaker from a poor speaker is that person's stories.If you are relying upon re-telling other people's success stories, you will never make it as a professional speaker. I got hired as a speaker at a convention, once, and the woman who hired me asked me a very odd and pointed question just before I began to speak. She said, "Where exactly did you get the material for this speech?" It was such an odd question, I paused before answering. No one had ever asked me that question before. I asked her why she was asking. Apparently, her group just absolutely loved the speaker they hired the previous year. They would have hired her again. However, one of her executives was doing research on the topic after the conference and came across another speaker with a similar background. After a little more investigating, they realized that their speaker had actually plagiarized the entire speech -- (personal stories and all). After being in the industry for decades, now, I have realized that this is very, very common. You will end your career very quickly if you plagiarize other people's stuff. Stay Away from General Topics. One of the biggest mistakes that I made in the early years of The Leader's Institute ® was making my classes about "leadership." HIf you think about it, if someone is a very poor leader, they are not likely to go to Google and look for a "leadership class." I spent the first couple of years reaching out to thousands of corporate decision-makers letting them know about the great leadership class that I had. I had a bunch of takers. owever, the moment I stopped outwardly promoting the class, using an enormous amount of advertising, registrations decreased significantly. However, I noticed that a lot of folks coming through the leadership class kept telling me over and over that they were coming to reduce their public speaking fear. As a result, I created Fearless Presentations ®. Within two years, we were teaching over 300 classes each year. After teaching classes like this for a couple of decades, now, though, I realized that if I had become even more specific on the topic, I'd likely have grown a lot faster. More on that later. 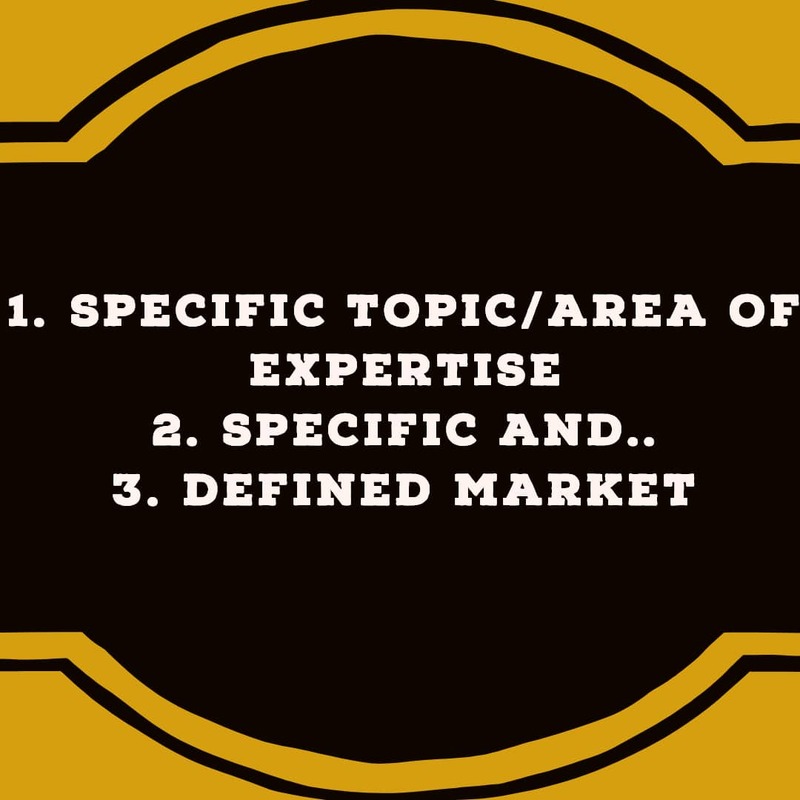 Start with a Topic/Area of Expertise that Has a Specific and Defined Market. Okay, there is a LOT in that statement. Let's break it down. 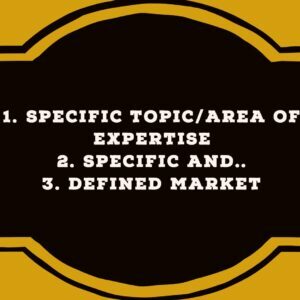 A (1) specific topic/area of expertise with a (2) specific and (3) defined market. You need to have all three, or you will spend a lot of time creating something that no one wants. 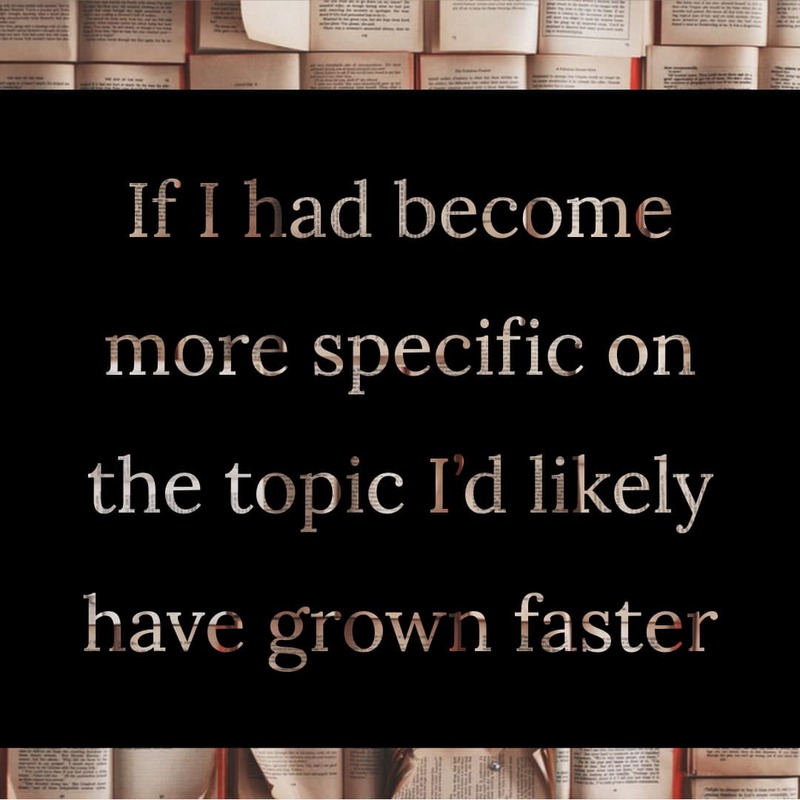 The easiest way to come up with a good topic is to think about specific problems that the people in your audience might have and make your topic a way to solve them. The key here is to not try to create a topic that is helpful to EVERYONE. Pick a niche. It is much easier to find a niche when you have a specific audience in mind. when I first started The Leader's Institute ®, this really hit home with me. I got a call from an engineering company in Houston who wanted help organizing what they called "Short-List Meetings." I had no idea what a Short-List Meeting was, so I asked a bunch of questions. Turns out that when a company wants to fund a construction project, they will send out requests for proposals for the project. A committee will often sift through the proposals and eliminate many companies that don't qualify. The committee will then create a "Short List" of companies who passed the first set of criteria. At this point, the committee will then invite the Short-List Candidates to give a presentation. In some cases, this presentation is the final step to earn the job. In other cases, it is an additional weeding-out process. By the time that I finished coaching this engineering firm, I knew the industry and the problem pretty well. So, I created a presentation class called "Getting Past the Short List," and I promoted it throughout the engineering and construction industry. Because it was such a niche within that industry, I had almost no competition. I conducted dozens of these speeches each year for about six years, and made a tidy nest egg in the process. Once You Have a Great Topic, Write About It. Make your blog posts range between 1000 and 2500 words. This part is critical to helping you clarify the wants and needs of your audience. The process also helps you constantly refresh and redesign your ideas and beliefs. If you sit down and write at least a single 1000 word blog post every week, for 10 weeks, by the time that you complete the 10th post, your understanding of your topic will have become more precise and more clear. The reason this occurs is that you stop relying on your past beliefs, and you focus more on new research from outside sources. 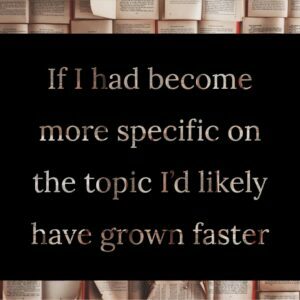 Every time I write a new blog post, I increase my expertise in my topic exponentially. I'm constantly growing and learning. You have to be too. Compile Your Posts into a Book. Once you have at least 10 well researched and well written blog posts with at least 1000 words in each, you have the makings of a pretty good book. You will have anywhere from 10,000 to 20,000 words already laid out in an easy to read format. The titles become chapters of your book. By the way, Amazon has two ways to self-publish these books for free. You can go to Kindle Direct Publishing or to a website called Create Space. You will always have more credibility as a speaker if you are a published author. You also have an additional revenue stream. In some cases, an audience may only be able to pay you a small honorarium to speak. However, you can offer to give one of your books to each person in attendance. The group may not have fees to pay the speakers, but they will often add $10 or $20 to the fee for attending if the attendees will receive a book for that value. So, instead of getting $200 or $500 as an honorarium to speak to 100 people, adding a $20 book will increase your fee by $2000. If the group can't agree to paying for a book for everyone, you might still be able to set up a table at the back of the room to sell copies of your book. 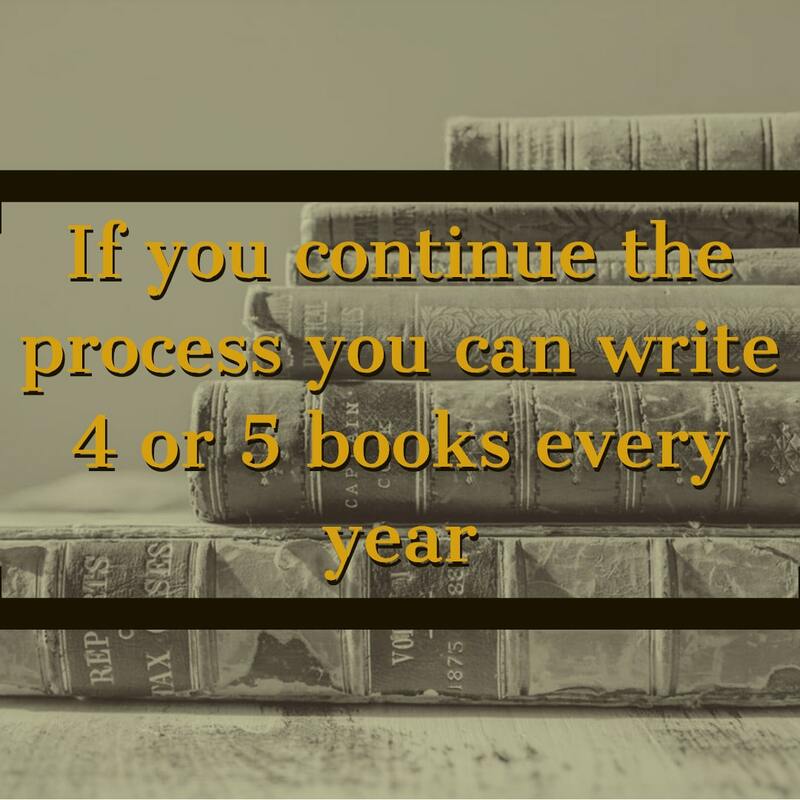 By the way, once you have the 10 posts and one book completed, don't stop. There are 52 weeks in a year. 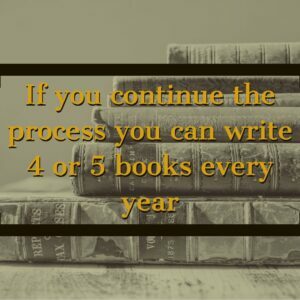 If you just continue the same process, you can write four or five books every year. Wait until you have 20 or so well written blog posts. Once you have them, start a podcast. You will be amazed at how much more fluid and confident you will become as a speaker after you record 15 to 20 podcasts. Your message will be sharper. Your delivery will be more precise. You will become a better speaker. I'm not going to spend a lot of time here talking about the mechanics of how to record a podcast, but I will likely cover this in detail in a future post/episode. For time sake, now, though, spend a few hundred dollars on a professional microphone on Amazon. Invest a few more dollars on a "pop filter." Then, use an audio editor like Audacity to make the recording. Try to record the entire podcast episode in a single take. If you start and stop once, you will constantly keep starting and stopping. You will waste a lot of time. If you are wondering where to get your content for each podcast, well, by this point, you should have at least 20 well written blog posts. each one should take you 30 minutes to one hour to record. I'd suggest not reading them word-for-word. Instead, make an outline of the major points and practice delivering the content as you would if someone hired you to speak on that topic. After Recording the Audio of Each Podcast, Try Creating Live Videos. Video is always much more difficult than audio. With audio, all you need is a good microphone, a pop filter, a laptop, and a quiet room. Video throws a few more challenges into the works. When you are starting out, I'd suggest Facebook live or Instagram Stories. These are great for practicing your speeches, and the audience expects them to be amateurish. In fact, the more "behind the scenes" the video looks, the better in these formats. An easy way to create the content for these videos is to deliver just one of your main concepts (bullet points) from each of your blog posts (podcast episodes). If you had five concepts in each blog post, you can do one of these a day -- each week -- if you want. 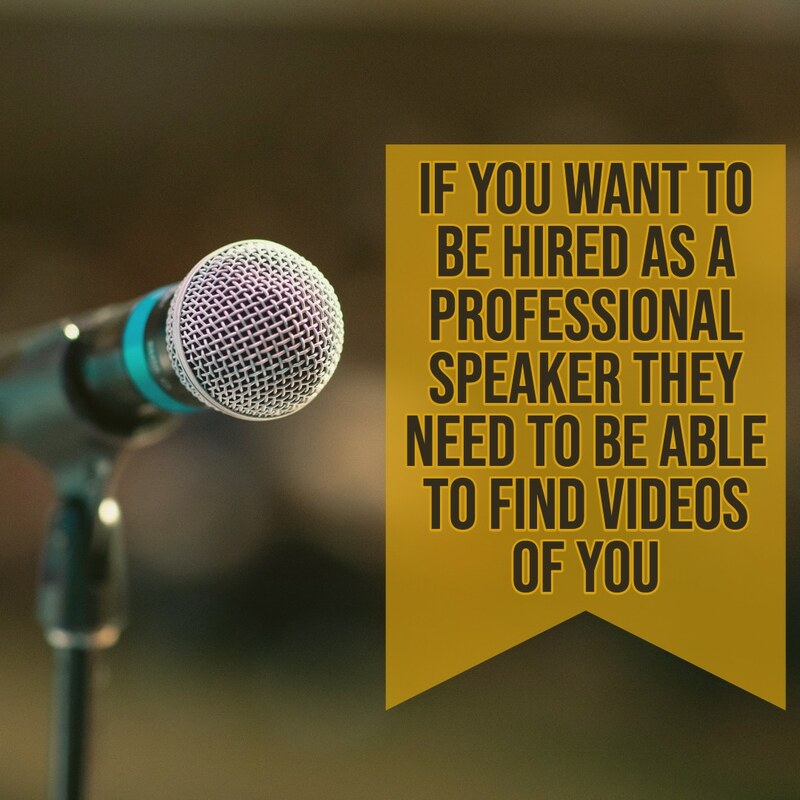 The point is that if you want to be hired as a professional speaker, people have to be able to find great videos of you. If they can't, you won't even be considered. When you get good at the live videos, then you can invest in better equipment and professional help to create good YouTube videos. I know it seems like a lot of work. It is. But, once you have 20 plus blog posts written and podcast episodes recorded, 40 or 50 videos, and at least one book published and ready to sell, you are ready to start promoting yourself. I will give you a few steps to do the promotion next week! I would like to personally congratulate you as your website Fearless Presentation has been selected by our panelist as one of the Top 5 Presentation Podcasts on the web. I personally give you a high-five and want to thank you for your contribution to this world. This is the most comprehensive list of Top 5 Presentation Podcasts on the internet and I’m honored to have you as part of this! We'd be grateful if you can help us spread the word by briefly mentioning about the Top 5 Presentation Podcasts list in any of your upcoming post.